Have you ever considered how your breathing might be limiting your sports performance? If you find it difficult to breathe through your nose when exercising, if exercise makes you breathless, if you are slow to recover and if you suffer from any of the symptoms mentioned on this website, then getting your breathing assessed might be the single-most-important consideration to improve your fitness. contribute to poor sleep patterns. The Buteyko Breathing Clinic's programme aims to normalise the breathing pattern. When the body is working within its physiologically normal parameters it can work at its optimum. 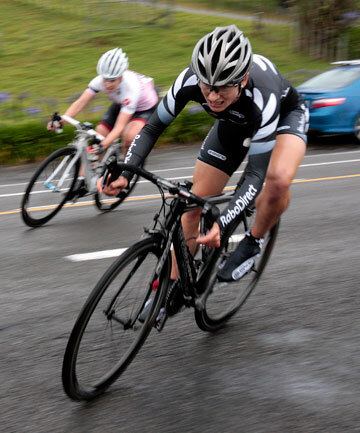 Many athletes both in New Zealand and internationally have used Buteyko to improve their sporting performance. "I refer my clients to Glenn’s breathing clinic and recommend his programme to boost performance in any sport." 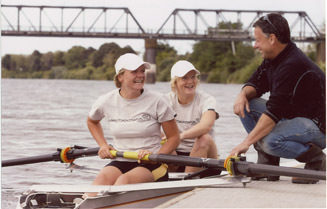 The New Zealand Herald reported on New Zealand international rower Darnelle Timbs and her success with Buteyko on 31 October 2005. Read her comments here. 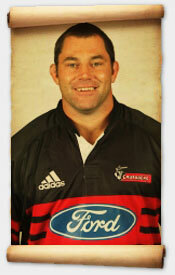 Former All Black, Con Barrell, tells his Buteyko story here. More testimonials from people whose sports have benefited from Buteyko here. Dysfunctional breathing is widespread and the signs and symptoms usually go undiagnosed and untreated. Glenn White can bring his Breathing and Sport Workshop to your sports club or school where you will reconsider everything you thought you knew about breathing to optimise sports performance, health and wellbeing. Contact us for more information.